Are podcasts a dying trend? In the last month of 2014, approximately 15 percent of Americans over the age of 12 had listened to one. In 2013, that was 12 percent. In 2008, 9 percent. The stats are pretty clear: podcasts still have a lot of life left. But podcasting is a media-based activity, so as a Linux user, you might be under the impression that podcasting is best done on Windows or OS X. That may have been true historically, but it’s now one of many Linux myths that no longer hold up 5 Lies Linux-Haters Like To Tell 5 Lies Linux-Haters Like To Tell Linux may have been a scary operating system before, but all of that has changed in recent years. These myths, which are more accurately called lies, are now dead. Read More . Before you get started, you should read our beginner’s guide to podcasting equipment Starting A Podcast: The Best Recording Equipment & Platforms You Should Use Starting A Podcast: The Best Recording Equipment & Platforms You Should Use So you want to start a podcast? Well, hold up there. There's a few things you need to consider first, and though the technical capabilities of modern computers should make this kind of stuff super-easy,... Read More , which has recommendations for both headsets, microphones, and accessories. Once that’s settled, feel free to move onto the software below. Whenever there’s any mention of audio recording or editing, Audacity is always the first suggested piece of software. Why? Because it’s free, open source, cross platform, and relatively easy to use as long as you aren’t trying to do anything too extravagant. For the basic podcaster, Audacity offers more than necessary. It can record audio from your microphone, it can mix multiple tracks together, it comes with several built-in filters and effects, and you can always add more functionality through plugins. But the biggest benefit is its sheer popularity. The community is large and there’s no shortage of tutorials and resources, making it great for a newbie. 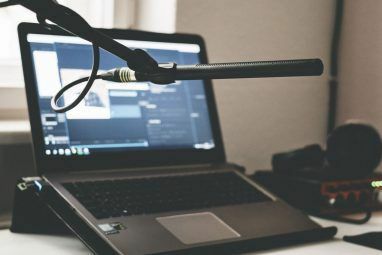 Get started with our beginner tips for better Audacity editing 7 Audacity Tips For Better Audio Editing On a Budget 7 Audacity Tips For Better Audio Editing On a Budget Want to move beyond simple cut-and-crop jobs? Knowing just a few Audacity tips can make your audio-editing life a whole lot easier. Read More . Like Audacity, Ocenaudio (formally stylized as ocenaudio) is a cross platform audio editor that emphasizes a simple and straightforward interface. If you thought Audacity was too complicated, then Ocenaudio is what you want. Ocenaudio is the result of a Brazilian research group’s need for an audio editor that had a shallow learning curve, an intuitive interface, and no unnecessary bells or whistles. This is as simple as it gets, and that means maximum usability. Whereas Ocenaudio is one difficulty step below Audacity, Frinika goes in the opposite direction – it’s slightly more complex than Audacity but also more flexible and powerful. It’s more than an audio editor. It’s an audio workstation. For a basic podcast, Frinika might be overkill, but for intermediate-level work with things like background tracks and multiple microphones, it fits the bill. But there’s also the fact that Frinika runs on Java, which is what makes it cross platform, but there are several things to consider before installing Java software The Top 6 Things To Consider When You Install Java Software The Top 6 Things To Consider When You Install Java Software Oracle’s Java runtime software is required to run Java applets on websites and desktop software written in the Java programming language. When installing Java, there are a few things you should consider, especially regarding security.... Read More – namely, the potential for security vulnerabilities. Ardour is what you’d get if Audacity was cranked up several notches. This program is a real workhorse and it can do things that none of the other above-mentioned audio editors can do. Indeed, Ardour is a digital audio workstation in every sense of the term. It can record from multiple input sources. It can import all kinds of audio files for editing. It also comes with dozens of editing tools (e.g. cut, stretch, trim, crossfade, swing, zoom, etc) and mixing tools (e.g. mute, equalizer, pre-fader, post-fader, synchronizer, etc). Seriously, this thing is a beast. 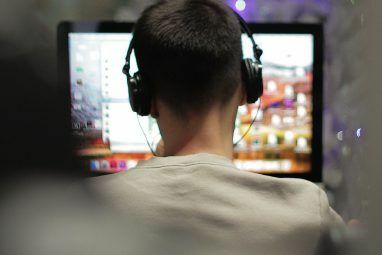 It’s one of our recommended alternatives to Audacity 6 Awesome Alternatives to Audacity for Recording & Editing Audio 6 Awesome Alternatives to Audacity for Recording & Editing Audio There's nothing wrong with Audacity, and we recommend giving it a try if you haven't yet. But alternatives do exist - here are some of the best ones we've found. Read More when Audacity just isn’t powerful enough. The downside is that Ardour has a much steeper learning curve and it’s easy to be overwhelmed. Highly recommended for advanced podcasters. 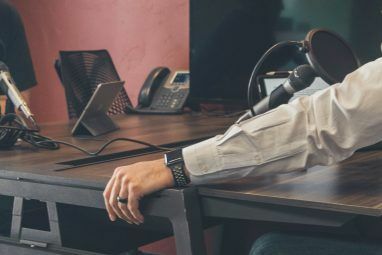 When we wrote about running a live podcast This Is How To Run A Live Podcast Or Videocast This Is How To Run A Live Podcast Or Videocast Let me tell you - running a live video stream and podcast every week is tough work indeed. Actually... that's a complete lie - but don't tell my co-hosts that because they think I'm a... Read More , Mixlr was the top choice for audio-only broadcasting. The free plan has unlimited listeners and a per-broadcast time limit of 1 hour. Once broadcasted, each podcast’s audio is saved and downloadable. You can take them, clean them up in post-processing, and then rehost them elsewhere if you wish. Plus, while broadcasting is live, Mixlr provides a built-in chatroom for real-time listener feedback. The one downside is that Mixlr is only native to Windows and OS X, but several Linux users have reported that Mixlr runs well under Wine Run Windows Applications on Linux (or Mac) With WINE Run Windows Applications on Linux (or Mac) With WINE Read More . If that’s not an option, you can always try Mixlr’s apps for Android or iOS instead. For video podcasting, there’s no program more commendable than the cross-platform Open Broadcaster. This simple but effective program can capture your screen and stream it live to YouTube, DailyMotion, Twitch, Hitbox, and more – or it can save the capture directly as an .MP4 recording instead. Open Broadcaster has built-in scene management, meaning you can set up multiple scenes that each display different kinds of sources (e.g. webcam, window capture, screen capture, etc). The capture is also less CPU-intensive than other similar programs. If you’re taking the video podcast route, you’ll need a way to edit recordings and mix in all kinds of audio. Plenty of open source video editors for Linux 7 Free Open Source Video Editors for Linux 7 Free Open Source Video Editors for Linux Video editing on Linux is constantly improving. A good selection of open source video editing software is now available to Linux users, and we've got seven of the best for you to check out. Read More have come and gone throughout the years, but Shotcut has consistently been one of the best. It’s an intermediate-level program with a straightforward interface that’s easy to learn but lots of advanced features that’ll make your life easier. It also has a built-in capturing mode that supports both local saving and network streaming. Linux & Podcasts: Perfectly Doable! It doesn’t matter if you’re a newbie or a veteran. 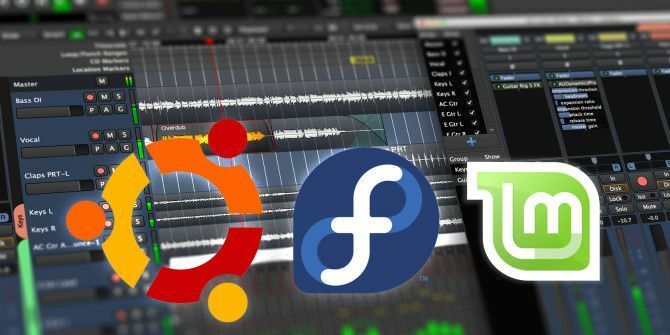 There’s an open source Linux program that fits your podcasting needs, whether your podcast is audio-only or livestreamed with video. Once you’ve gotten acquainted with your podcasting programs of choice, don’t forget about setting up your own podcasting website A Guide To Setting Up Your Own Podcast Website & Feed Using Wordpress & Podpress A Guide To Setting Up Your Own Podcast Website & Feed Using Wordpress & Podpress I recently had the opportunity to become part of a podcast which I’m sure you’ll hear about soon enough - and it's all fairly new ground for me. As the only one with enough bandwidth... Read More . After all, what’s the point of a podcast if you don’t make it available to the public? Have you produced a podcast on Linux before? Which programs have you found the most useful? Got any other podcasting tips? Share your thoughts with us down in the comments!